Artist wins Aspex Gallery's biennial open competition for graphite rubbings from Jimi Hendrix's former London home. The winner of the 2015/16 Aspex Gallery EMERGENCY open competition has been announced as Maya Ramsay. 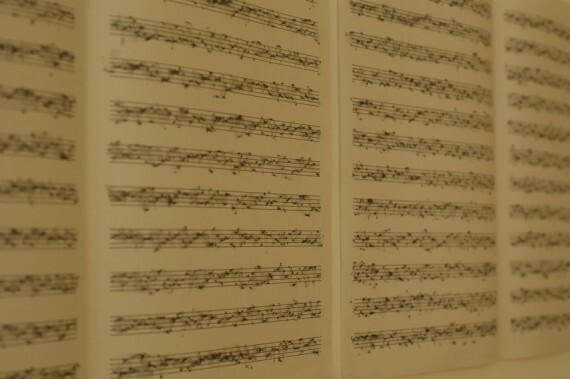 Known for her work with historical and politically important sites, Ramsay’s winning piece is Jimi Hendrix: Wall of Sound – a series of graphite wall rubbings, on blank manuscript paper, of the woodchip wallpaper in the musician’s former London home at 23 Brook Street, Mayfair. Ramsay wins a prize of £1000, and a solo exhibition at the gallery in 2017. Launched in 2003, the biennial open competition is a key element of the Portsmouth gallery’s programme, providing early-career artists with an opportunity to bring their work to wider attention. This year Aspex received almost 400 applicants, with a panel of selectors – artist Suki Chan; Karen Mackinnon, director and curator of Artes Mundi; Kwong Lee, director of Castlefield Gallery; and Joanne Bushnell, director of Aspex – picking a shortlist of ten artists. The full shortlist is: Alison Carlier, Rita Evans, Euan Gray, Chris Shaw Hughes, Caroline King, Jane Lawson, Laura Malacart, Steve Moberly and Tim Simmons.